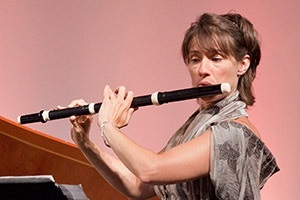 Ensemble Caprice, a baroque ensemble which performs on period instruments, was founded by acclaimed recorder soloist Matthias Maute and has become known for its innovative and adventuresome approach to an increasingly expanding musical repertoire. In addition to its series of concerts in Montreal, the group tours extensively, giving dozens of concerts in Quebec, Canada, the USA, Europe, and even Asia. The ensemble is a regular guest at many prestigious European festivals: the Lufthansa Festival of Baroque Music in London, the Bruges (Belgium) and Utrecht (Netherlands) festivals, the Felicia Blumenthal International Music Festival in Tel Aviv; and in Germany, the Musikfestspiele Potsdam Sanssouci, the Regensburg Early Music Festival, the Händel-Festspele in Halle, and the Stockstadt festival. 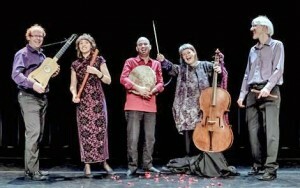 In the USA the group performs at New York’s Frick Collection and Miller Theater, Boston’s Early Music Festival and the Library of Congress in Washington D.C. In Canada, the ensemble can be heard at the Ottawa International Chamber Music Festival, Early Music Vancouver, Early Music Voices in Calgary, the Edmonton Chamber Music Society, the Elora Festival and the Festival International du Domaine Forget. This remarkable touring schedule has established Ensemble Caprice as one of the most important baroque ensembles on the present day musical scene. In November of 2009, the New York Times published a lengthy article hailing the musicians’ innovative and refreshing approach, praising them as “imaginative, even powerful; and the playing is top-flight”. The Ensemble’s recording activity is every bit as impressive, comprising over twenty CD’s having appeared on the Analekta, ATMA Classique and Antes labels, sold in some fifty countries around the world. These recordings have gained many honors and much critical acclaim. The CD Gloria! Vivaldi and his Angels received a Juno Award in 2009 from the Canadian recording industry. The Conseil québécois de la musique presented the group with three prestigious Prix Opus awards: “Performer of the year”, “Concert of the year” for its performance of Bach’s B Minor Mass during the 2011 Montreal Bach Festival, and then again “Concert of the year” for Le Faste de la France, a collaboration with the Studio de Musique ancienne de Montréal. Ensemble Caprice was also recognized for its artistic approach and the quality of its performances by being selected “People’s choice” (2008-2009 season) and was a finalist in the music category for the Montreal Arts Council’s Grand Prix de Montréal for 2009. The group also earned the Echo Klassic award in Germany and several other nominations for the Association québécoise de l’industrie du disque and Prix Opus awards. And finally, the acclaimed publication Gramophone Magazine chose the group’s CD Telemann and the Baroque Gypsies as one of its recommended recordings. Matthias Maute has carved out an impressive international reputation for himself not only as one of the great recorder and baroque flute virtuosos of his generation but also as a composer and conductor. Since winning first prize in the soloist category at the prestigious Bruges Early Music Competition in 1990, he has led a highly successful career as a recorder and baroque flute soloist. He made his debut in New York’s Lincoln Center in 2008 and has twice been the featured soloist for the Boston Early Music Festival. He records and tours extensively. The Washington Post hailed him as one of the greatest recorder players on the North American musical scene. Since 25 years, Matthias concertizes as member of the New York based ensemble REBEL in North America and Europe. He has been invited to perform as guest soloist or conductor by the world’s most eminent baroque orchestras, including: Seattle Baroque, the Portland Baroque Orchestra, the Cleveland Baroque Orchestra, “Apollo’s Fire” and the Magnificat Baroque Ensemble. In recent years he has also been invited to conduct other renowned orchestras, including I Musici de Montreal and Symphony of Nova Scotia. Matthias Maute is also celebrated for his work as artistic director and conductor of Ensemble Caprice. In this capacity he is known for creating and leading ingenious and captivatingly original programmes. He tours extensively with the ensemble, being regularly invited to take part in prestigious festivals around the globe. In Canada, the group can be heard at the Ottawa International Chamber Music Festival, the Festival international du Domaine Forget, Early Music Vancouver, Early Music Voices in Calgary and the Elora Festival in Ontario. 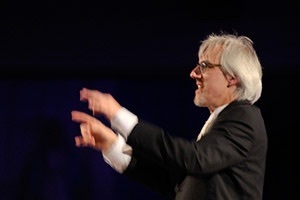 Under his direction, Ensemble Caprice was granted an esteemed JUNO award in 2009 for best vocal/choral classical music album of the year (for its CD Gloria! Vivaldi and his Angels on the Analekta label). Matthias Maute’s compositions are highly regarded and have been published by Breitkopf & Härtel, Amadeus, Moeck, and Carus. He has some thirty recordings to his credit on the Analekta, Vanguard Clasics, Bella Musica, Dorian, Bridge and ATMA Classique labels. Matthias Maute teaches at McGill University’s Schulich School of Music and at the Faculty of Music of the Université de Montréal. Sophie Larivière has been a member and co-artistic director of Ensemble Caprice since 1997. In this capacity, she has been instrumental in developing the unique and innovative identity of this ensemble which provides concert goers with an exciting blend of virtuosity and musical expressiveness. As a member of Caprice, she has played in numerous concerts in Canada, the Middle East, Europe and the USA. Among these performance venues, the following are of particular note: The Mediterranean Arts Festival in Tel Aviv, the Lufthansa Festival of Baroque Music in London, the Musikfestspiele Potsdam Sanssouci near Berlin, as well as concerts in Stuttgart, at the Library of Congress in Washington D.C., in Los Angeles, at New York’s Frick Collection and Miller Theater, in Chicago, and at the Boston Early Music Festival. Much appreciated for the flowing, expressive beauty of her playing, Sophie Larivière is regularly invited to perform with many early music ensembles. She has played with Arion Orchestre Baroque, l’Opéra de Montréal, the Studio de Musique ancienne de Montréal, the Theater of Early Music, REBEL from New York, the Violons du Roy in Quebec City, New York’s Trinity Choir as well as the Concert Spirituel in Paris. She has performed under the baton of noted conductors Andrew Parrot, Bernard Labadie, Christopher Jackson, Julian Armour and Hervé Niquet. Sophie Larivière has taken part in some thirty recording projects for the Analekta, Virgin Classics, Atma Classique, Antes Edition and Interdisc labels. She is a devoted teacher, and for decades has been transmitting her passion for music to a younger generation of performers as well as to amateur musicians in music camps and workshops. She currently teaches at Cégep St-Laurent in Montreal.